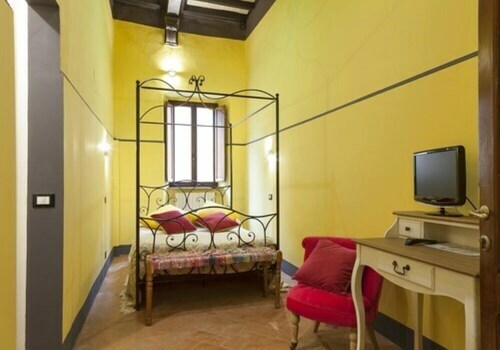 Situated in the historical district, this townhouse accommodation is steps from Palazzo Comunale, Piazza Pio II, and Museo Diocesano. 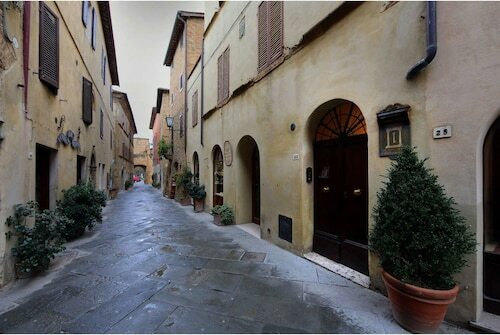 Pienza Cathedral and Palazzo Piccolomini are also within 5 minutes. 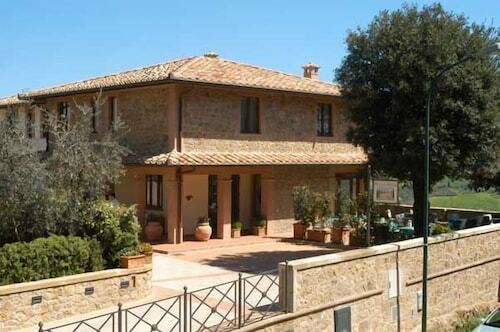 Situated in Pienza, this townhouse accommodation is steps from Palazzo Comunale, Museo Diocesano, and Pienza Cathedral. Palazzo Vescovile and Palazzo Borgia are also within 5 minutes. If you like to find out all you can about an area, you'll enjoy your visit Piazza Pio II, which is an important and intriguing source of local history. You'll be pleased you journeyed to its home in Val d'Orcia, approximately 90 miles (145 kilometers) outside of Rome, the national capital. 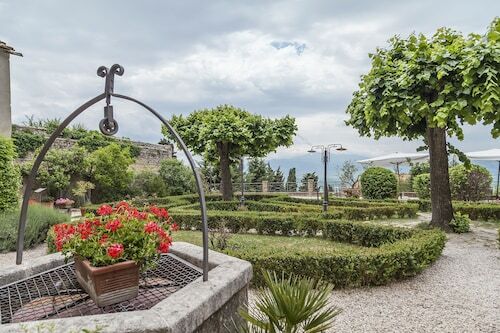 Despite the fact that there's a fairly good selection of 13 hotels within 2 miles (3 kilometers) of Piazza Pio II, it's always a good idea to book as soon as you can to make sure you get the best possible deal. 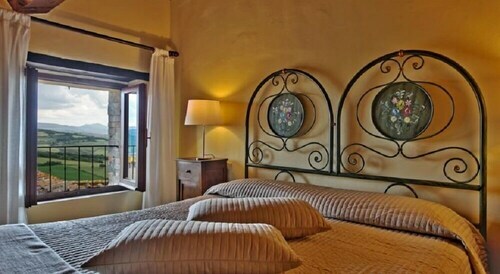 A lot of travelers have had good experiences at the Hotel Corsignano, 0.2 miles (0.3 kilometers) away, the Piccolo Hotel La Valle, 0.1 miles (0.2 kilometers) away, and the Hotel Relais II Chiostro di Pienza, 0.1 miles (0.2 kilometers) away. You are guaranteed to get a wonderful welcome in addition to a modest price tag when you stay at any one of the bargain hotels available. 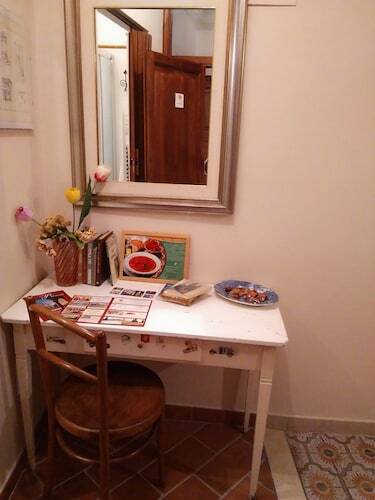 Check out the Antica Locanda, a mere 0.06 miles (0.10 kilometers) away, or, you can try the Albergo Rutiliano, which is 0.3 miles (0.5 kilometers) away. Spoil yourself by spending a night or two at one of the handful of upscale establishments that are within easy driving distance. 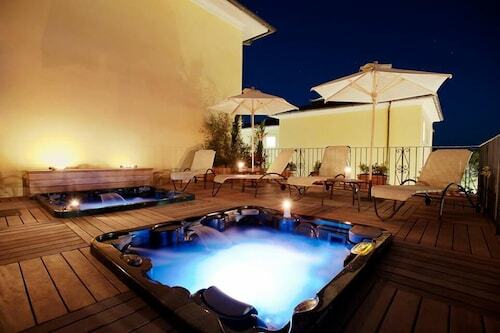 You might wish to ask about rooms at the Adler Thermae Spa & Wellness Resort and Hotel Osteria Dell Orcia. It doesn't matter if you want a delicious snack or simply somewhere to sit down, Idyllium has what you need, and it's located a short walk away. Also close by is Sperone Nudo, a great eatery that serves up a variety of hearty courses. You'll chuckle as you share some memories as you drink an a glass of your favorite drop at La Posta, only a brief walk away. Even if you don't make arrangements for an indoor tour of Palazzo Comunale, this historic landmark is definitely worth viewing from the outside. If you consider yourself a history buff, check out Palazzo Borgia and learn why it's a local icon. 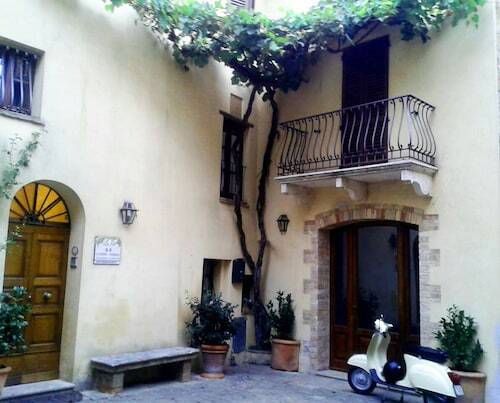 If you'd like deeper insight into the character of the area, take some time to explore the historic Palazzo Vescovile. Give your respects at Pienza Cathedral, the area's principal church of worship. Even if you don't want to take an indoor tour of Palazzo Piccolomini, this impressive landmark is still worth viewing from the outside. How Much is a Hotel Room in Piazza Pio II? 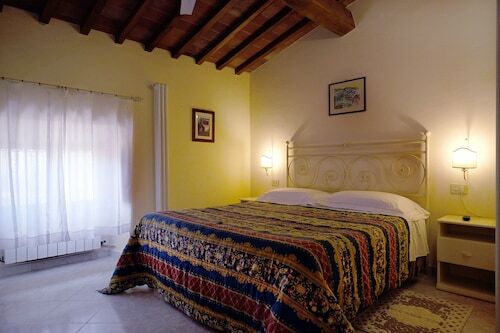 Hotels in Piazza Pio II start at $70 per night. Prices and availability subject to change. Additional terms may apply.